Ever felt as if modern jazz lost its way somewhere along the line? Too many artists constructing beautifully played, superbly recorded music that fails to connect at any emotional level whatsoeverit gets played a couple of times before being filed away in the collection never to emerge again. 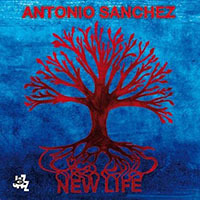 Well, the signs are more positive for this new CD by Antonio Sanchez which marks a huge leap forward from the the enjoyable Live in New York at the Jazz Standard from 2010. 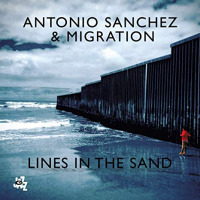 Sanchez takes his cues from the spiritual jazz of the late 1960s and early 1970sthe opening tracks echo Coltrane and Pharoah Sanders for example, but this top band pulls them in different directions updating them for today while maintaining that emotional pull. It certainly doesn't hurt when your line up includes the current New York alpha sax player David Binney, alongside Donny McCaslin on tenor and the excellent Brit John Escreet on piano. 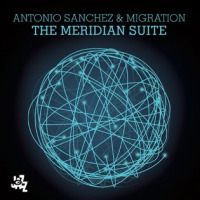 Sanchez himself and Matt Brewer on Bass clearly understand the particular importance of the rhythm section in this sort of jazzshowing that they have absorbed that Hancock/Coltrane/Sanders soulfulness and ability to build and release tension without yielding to the temptation to slip into 'walking' bass line cliché. Special mention too should also be made of Thana Alexa whose show stopping vocal textures on the 15 minute title track help raise this piece to the stand out track of an already excellent collection. Indeed Alexa's contribution draws raptures from none other than Pat Metheny in his sleevenotes to the disc, so we can only assume that a bright future is assured. It's a fine line to treadbalancing the melodic and rhythmic elements of the old sound yet roughing it up just enough to make it sound contemporary. 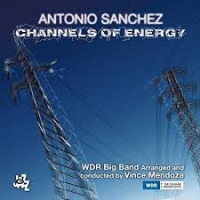 Opening track "Uprisings and Revolutions" is a good example of this the horns weaving improvisations around the themes through the excellent stew of piano glissandos and drum rim shots to great effect. "Minitauro" is less raucous, perhaps recalling Mwandishi era Herbie Hancock, as Escreet takes a more central role and the horn interplay on 'Medusa' is excellent. Track Listing: Uprisings and Revolutions; Minotauro; New Life; Nighttime Story; Medusa; The Real McDaddy; Air; Family Ties. 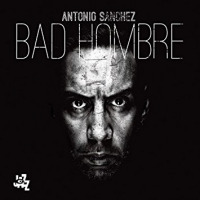 Personnel: Antonio Sanchez: drums, vocals, additional keyboards; Dave Binney: alto saxophone; Donny McCaslin: tenor saxophone; John Escreet: piano, Fender Rhodes; Matt Brewer:acoustic and electric bass; Thana Alexa: voice.